Hudson Valley Lighting, Mitzi, Troy Lighting and Corbett Lighting have opened a stunning 11,771 sq. ft. showroom opening its doors for the first time at Spring High Point Market. Located inside the historic Market Square Building, the space will be devoted to showcasing a broad array of their world class lighting fixtures. “High Point’s positive energy is legendary, and we’re beyond thrilled to finally be a part of it. Tomorrow’s interiors are already taking shape here, today. We look forward to interacting face-to-face with many talented designers, who can best appreciate both the historic references and ahead-of-trend elements of our work.” says David Littman, founder and CEO. Covering a vast range of styles and categories, these brands are united by their commitment to quality, thoughtful design, and obsessive attention to detail. Hudson Valley Lighting reimagines classics while setting the pace for the industry; Mitzi, the newest addition, makes high design attainable with bold color choices and a sense of playfulness that is right on trend. Established in 1963, Troy’s known for their “sophisticated casual” aesthetic and modern industrial sensibility; unique materials and thoughtful design details continue to define their latest offering. 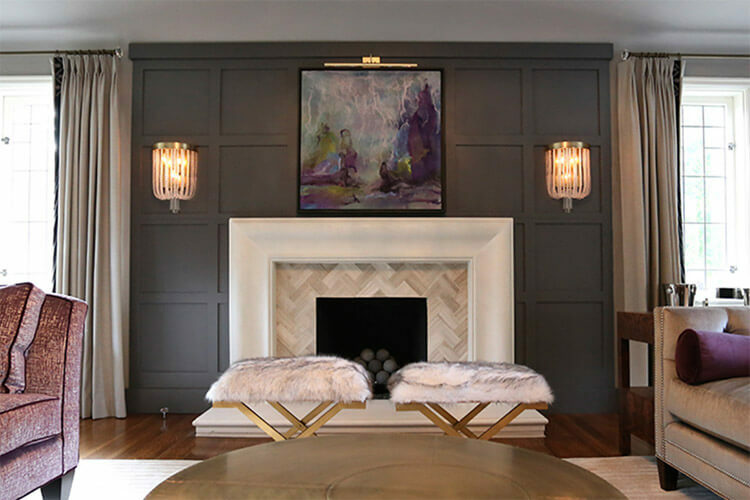 Corbett’s glamorous lighting fixtures make a statement and are best experienced in person to get a sense of their size, artfulness, and presence. For those who believe lighting makes the room, this showroom is a must-stop. Additionally, at this High Point Market in addition to new collections from each brand, Hudson Valley Lighting announces the debut of a vibrant and original collection with renowned interior designer Corey Damen Jenkins. With over 18 styles in multiple finishes, the first offering will include chandeliers, pendants, sconces and more. Recently honored with Traditional Home’s “New Trad Rising Star of Design” award, Jenkins is known for taking cues from the fashion world.